Blog > For Sellers > Are You A Home Selling Genius? Want to learn how to become a Home Selling Genius? 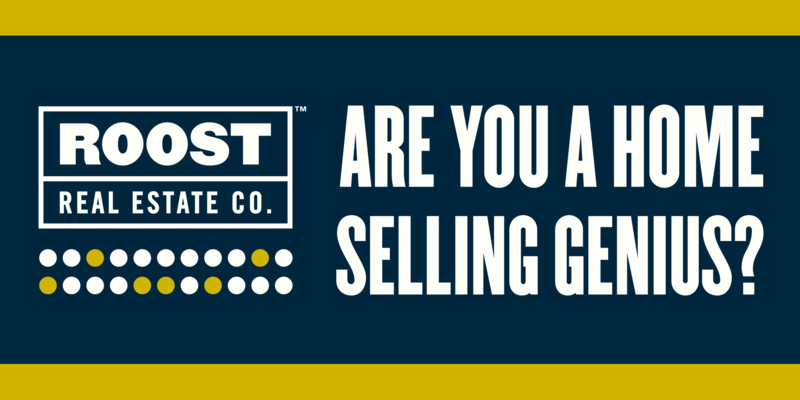 Click here and find out your Home Selling Genius Mindset Score. I guarantee it will help you find home selling success. Take your time and fill in the comment sections too. Score Yourself – Are you a home selling genius? Once you complete the scorecard we will email you a link to a free copy of my e-book called Your Home Selling Genius Scorecard – The Eight Mindsets That Make the Difference Between Home Selling Success and Disappointment. Even if you decide that working with ROOST Real Estate Co. is not right for you, I guarantee you will find value in this easy to read pdf. Once you discover your score, you will be on the road to becoming a Home Selling Genius. Wherever your scores lie, you have the power to control your home selling experience and use your knowledge to sell your home for the most money, in the least amount of time.